Usain Bolt is perhaps Vybz Kartel’s biggest fan. 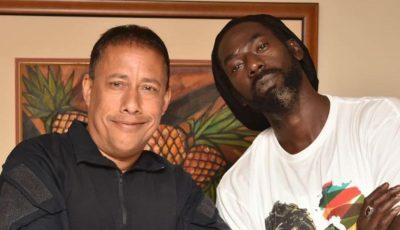 The Jamaican sprint legend has never been shy about his love for Vybz Kartel and even in the presence of another legend, Diego Maradona, he is blaring Kartel music. Usain Bolt recently took part in a number of celebrity football games in Europe for charity and he even joined German Bundesliga club Borussia Dortmund and was spotted in training with the team. As to when he will make his professional football debut, we don’t know. 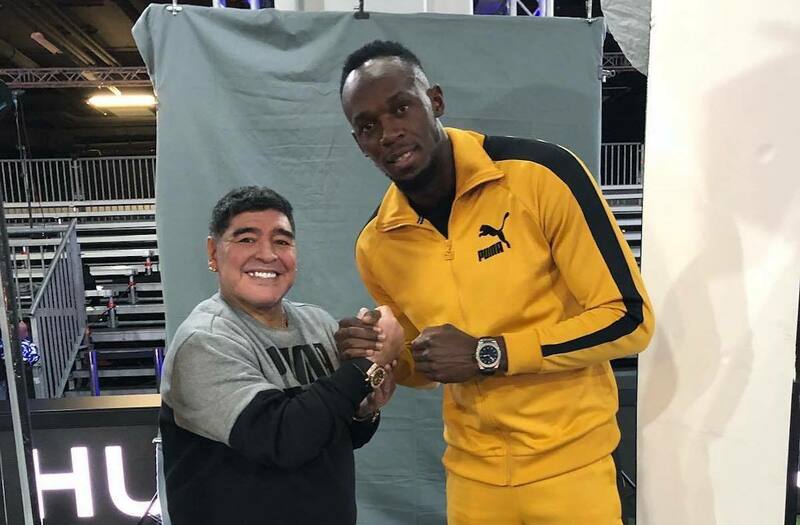 At one of his charity games involving Argentina legend Maradona and sponsored by watchmaker Hublot, Usain Bolt was playing one of Vybz Kartel’s classics “Million Dollar.” By the way, Maradona looks like he still got that deadly left foot. There is also a good chance he doesn’t understand the words of the song. Vybz Kartel is just two months away from his appeal trial set for July. If he failed to convince the judges he deserves a new murder trial, then he will more than likely spend the rest of his life in prison. He has been behind bars since September 2011, but still manages to have a vibrant music career.